A Mexican labor dispute that broke out in late October has had U.S. avocado importers anxious, but the issue was resolved November 14th. What Mexican growers consider low prices for their avocados was at the core of the dispute. As a result growers had installed checkpoints on all major roads in the Michoacan growing region, preventing picking crews and field trucks from entering the groves, according to the Avocado Producers and Exporting Packers Association of Michoacán (APEAM). In the U.S., importers were becoming concerned as inventories were quickly declining. Calavo Growers Inc. of Santa Paula, CA was airing concerns of running of avocado supplies soon. APEAM said its executives were working to resolve the issue through meetings and conversations with police agencies, the federal government and growers. The association expressed confidence these actions would soon lead to avocado shipments returning to normal. Avocado prices began falling last August in anticipation of a bigger crop. In fact, by mid-October f.o.b. prices of a box of avocados were $12 lower than a year earlier. Calavo estimated that the U.S. imported 1.9 million pounds of Mexican avocados from July 2017 through June 2018, and he that number was expected to be up to 2.1 million pounds for the current crop year. McDaniel Fruit Co. of Fallbrook, CA was ware of Mexican grower disappointment in prices, but felt the lower prices were only temporary and the avocado market would rebound. Meanwhile, the quality of the Mexican avocado crop was looking very good. Index Fresh Inc. of Riverside, CA was pointing out Mexico is expecting a slightly larger crop for the first time in five years. Avocado supplies in the U.S. have been low due to the labor strife, although the average consumer probably didn’t notice it. Importers report it will be weeks before supplies return to normal, plus a lot of avocado supplies will not be ripe in time for Thanksgiving. Here’s a news roundup ranging from Texas onion loadings to increasing shipments by an Ontario company, as well as a Colorado produce shipper, and finally, an update on blueberry imports. South Texas onion shipments get underway within the next couple of weeks, but due to industry consolidation and decreasing numbers of onion growers and shippers over the past 15 years, there has been a 31 percent decrease in the number of onion producers and a 34 percent decrease in the number of handlers. Texas onions, Mexican imported produce – grossing about $3400 to Chicago. Red Sun Farms of Lemington, ON is expanding its shipments of tomatoes, cucumbers, and peppers to include Golden Sun Avocados. Best known as a North American greenhouse grower, Red Sun Farms will be handling avocados produced in Mexico, and distributed through the company’s supply chain to service customers throughout North America. Red Sun Farms will begin distributing the Mexican avocados during the second quarter of 2018. Sakata Farms of Brighton, CO is changing its farming operation and discontinuing sweet corn production, and concentrating on onions and other crops. The company is holding a farm equipment auction March 10 at 9:30 a.m. Mountain time. The company will no longer raise sweet corn, broccoli and cabbage. 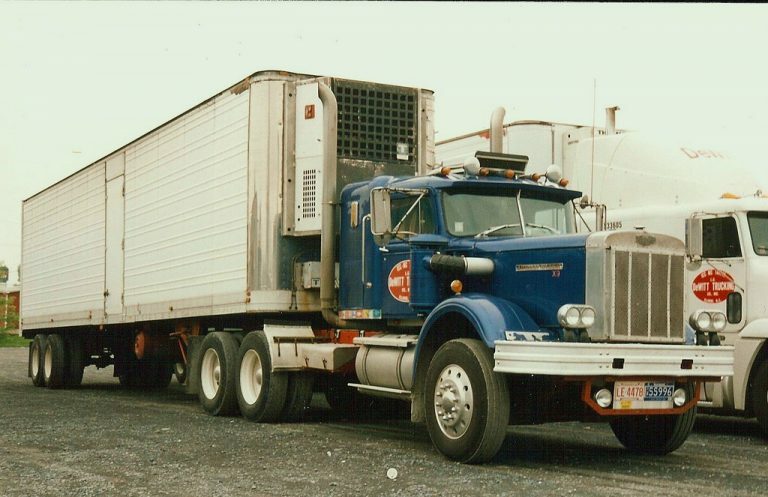 Fresh blueberry shipments take place in the U.S. the year around, made possible in large part by the increasing amount of imports from South America, which supplies product during the offseason of U.S. blueberry shippers. Chile is the leading country supplying “blues” this time of the year to the U.S., accounting for 52.7 percent of fresh cultivated blueberries over the past five years. Since 2013, however, Mexico, Argentina and Peru significantly increased exports to the U.S. Argentina has upped exports to the U.S. by 35 percent from 2013 to 2017, Uruguay is up 46 percent and Mexico is up 414 percent. Percentage wise, the biggest increase has come from Peru, with U.S. imports from that country up 3,971 percent from 2013 to 2017. Overall, blueberry imports are up 44 percent. More container volume is being handled at the Port of Los Angeles, and a California company is expanding its presence in South Texas. Container volumes increased over 16 percent from over the previous year at the Port of Los Angeles, which had its busiest July ever. This took place as U.S. ports continue to post record traffic numbers, including the major West Coast entry point for many Central and South American fruits and vegetables. L.A. had almost 797,000 20-foot equivalent units (TEUs) came through the port, the most in any July since it opened 110 years ago, according to a news release. Port officials expect the calendar year to break records as well. Container volumes are 9.5 percent over 2016 volume to date, a year that also saw records fall. The International Longshore and Warehouse Union recently extended their contracts with the terminal operators at the port until 2022. Index Fresh of Bloomington, CA broke ground earlier this year on a new distribution center in South Texas that should be ready to receive fruit sometime in November. The company is anticipating continued growth with the U.S. consumption of avocados. 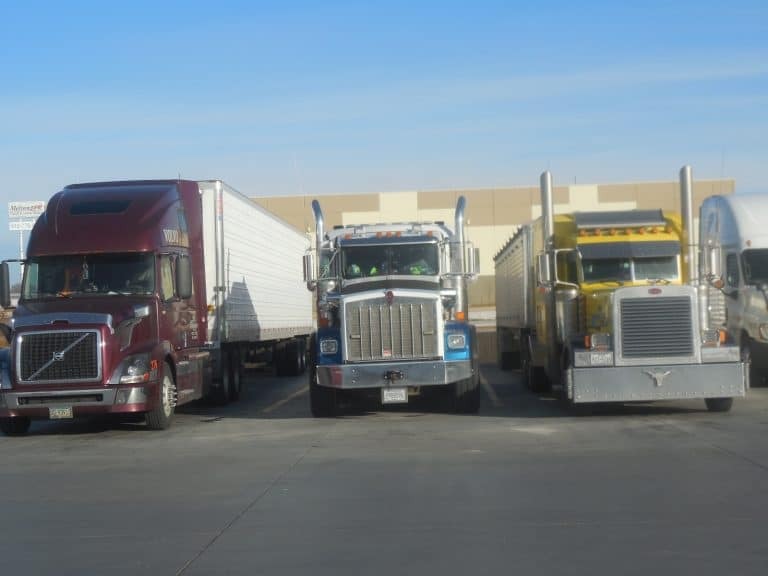 Index Fresh has used a commercial warehouse facility in the Rio Grande Valley for several years at Crosspoint Cold Storage, but decided it was time to expand and build its own facility. Located in Pharr, The Index Fresh distribution center is being built a stone’s throw from the Pharr-Reynosa International Bridge, which is a major entry point for Mexican avocados and other fruits and vegetables originating south of the border. The facility will be used to pre-cool and condition the fruit. It will have the capacity to handle 2,600 pallets of avocados, with 10 separate ripening rooms. Mexico exports more avocados to the U.S. than any country, with South Texas being the most popular port of entry. Here’s a shipping forecast for California cherries, and an update on California avocado shipments. At the same, you won’t believe the whopping diesel fuel tax increase being produced in that state. California cherry shipments are predicted to get an early start this season with initial loadings getting underway the last week of April. The season should run through June. Peak shipments are expected to occur the second, third and last week of May. Assuming favorable weather holds, there should be strong volume leading up to Mother’s Day (May 14th) and Memorial Day (May 29th). While good quality and volume are being forecast, no firm estimates have been released. While California has the nation’s first domestic cherries each year, its total shipments are relatively small compared to Northwest cherry volume, which we’ll report on next week. Imported shipments of Mexican avocados have declined for the first time in possibly 10 years as the season comes to an end. Mexico shipped 2 billion pounds of avocados to the U.S. in 2016 and is projected to send 1.7 billion by the end of its season in June. Volume from Mexico has been increasing 12 to 15 percent a year while avocado consumption has been following a similar increase. Now, the California avocado shipping season is well underway. However, projected volume from the West Coast is only at about 200 million pounds — about half of the 2016 volume. One of the biggest shipping season for avocados lies just ahead as Cinco de Mayo falls on a Friday, May 5. Asking state lawmakers for a more efficient plan, Western Growers is opposing California’s proposed transportation infrastructure funding package. The funding package (Senate Bill 1) was announced in late March by California Gov. Jerry Brown, Assembly Speaker Anthony Rendon and Senate President Pro Tem Kevin de Leon, according to a news release. California’s current diesel fuel tax is 33 cents per gallon. While rain drenched California citrus isn’t having significant quality problems, that could change during the weeks ahead. Meanwhile, here’s a look at avocado shipments from Mexico and California. The bottom line is citrus growers don’t know what long-term effect the recent rains will have on the crop as navels and cara cara navels hit peak loadings. Excessive rain and moisture can adversely affect low-hanging fruit on trees, so packinghouses are running a little slower to monitor spoilage. Gold nugget variety mandarins and Ojai pixie tangerines — late season specialty varieties, also recently got underway by Sunkist Growers. Additionally, California Star Ruby grapefruit shipments are about to start. While quality issues down the road are a question mark, more certainty is that the 2017 harvest will end earlier this season. Instead of lasting until the Fourth of July, shipments will end in early June. Total tonnage harvested in 2017 is expected to be 15 to 19 percent less than a year ago. Southern California citrus, avocados – grossing about $4500 to Atlanta. 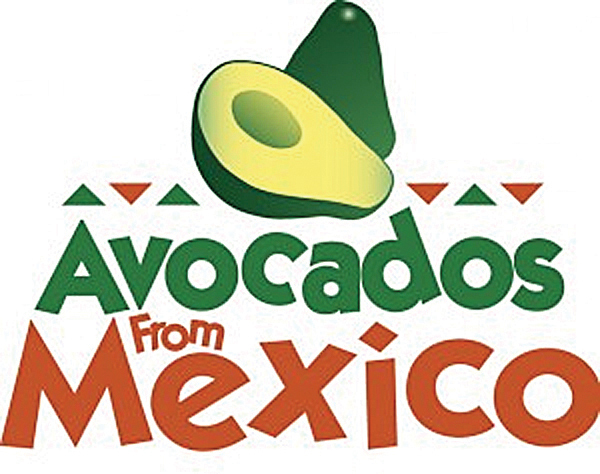 Shipments of Mexican avocados through south Texas in February this year totaled about 135.1 million pounds (3,3375 truck loads), compared with 166.25 million pounds (4,150) shipped in February last year. U.S. volume of hass avocados from all sources (California and Mexico) in March will total about 187 million pounds (4,675 truck loads), down from about 199.3 million pounds (4,975 truck loads) in March 2016. Southern California avocados shipments have been delayed by rains this season, although the state’s volume is light compared with Mexico. Only about 4 percent of total shipments in late came from California. Mexico’s crop estimate has been reduced to 1.6 billion pounds (55,000 truck loads) and final estimates may be even less. Mexico is shipping about 30 million pounds per week (750 truck loads) compared with normal volumes in the 40 million pounds (1,000 truck loads) per week range as supplies are quickly running out. California avocado shipments should end its season with about 195 million (4,875 truck loads) compared to nearly 400 million pounds in 2016. Larger avocado crops are often followed by smaller crops the next year. California loadings could increase by mid-March and into April to 8 to 10 million pounds per week. This would compare to shipments as high as 15 million pounds per week a year ago. Imported Mexican avocados, tropical fruits and vegetables through South Texas – grossing about $2700 to Chicago. A snowfall described by some that only occurs every 25 years hit the major onion shipping area of western Idaho and Malheur County, Oregon on January 8, damaging a number of structures, including some storage sheds. Transportation has been very difficult due to highways being closed, or are difficult to navigate. Beside the large amounts of snow that fell over the weekend, rains followed that made the snow even heavier. Snake River Produce of Nyssa, OR, lost a storage facility. Although it didn’t have onions stored there, several trucks reportedly sustained heavy damage. Three other Nyssa onion operations had packing and storage buildings collapse. One company reportedly lost about 4,200 bins of onions. In Ontario, OR one shed lost about 2,000 bins of onions when the roof gave way. Haun Packing of Weiser, ID, reported the loss of a storage building collapse. While the onions had already been moved out there was some equipment inside. Collapses in the region were reported to be about 20 structures, including four or five packing sheds, with storage buildings comprising the rest. Facilities costing hundreds of thousands of dollars even before losses of product or equipment are tallied are expected to be very significant. 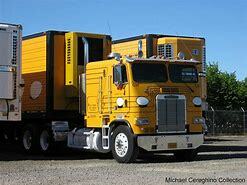 California used to the place if a produce trucker was hauling avocados. However, you load avocados now, chances are good the pick up will be occurring in South Texas with imported Mexican avocados. Mexico provide year-round availability and a consistent, high-quality fruit and is the primary reason for the astronomical growth in popularity in the U.S.
Before Mexico, It used to be avocado availability was inconsistent due to the alternate-bearing nature of crops in both California and Chile. Supplies would be typically in good supply one year and tight the following season. However, avocados grown Mexico year after year tend to provide a lot more consistency in supplies and quality. Buyers for major American retail grocery chains like that. Additionally, Mexico has four blooms each year and farmers can grow in altitudes ranging from 4,000 feet to 8,000 feet. This is not the case in Chile or California. Imported Mexican avocados account for at least 75 percent of the avocados shipped to U.S. markets. Some California avocado growers, as well as a number of produce brokers and shippers in the U.S. sell more Mexican avocados than their own product grown in California.